MySolidWorks 101 -- What is MySolidWorks and How Do I Use It? My name is Rachael Naoum and I am entering my junior year at Worcester Polytechnic Institute. This post is the first in a series which will describe exactly what MySolidWorks is, how you can use it, and how it’s a great tool for students. So, what is MySolidWorks anyway? 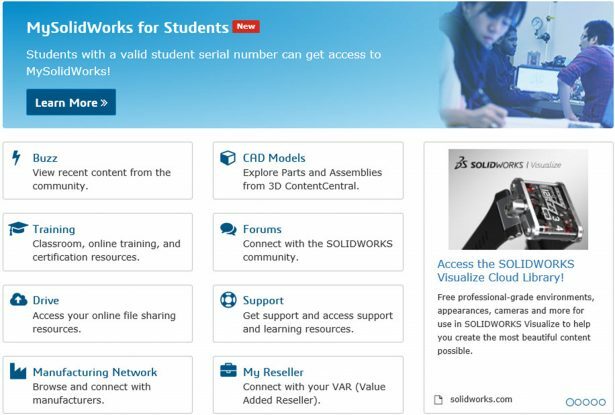 MySolidWorks for Students is an online tool meant to connect students with relevant SOLIDWORKS content and services to improve their skills. Students with good SOLIDWORKS skills often get better jobs than those who don’t. MySolidWorks for Students has CSWA prep courses, links to online storage, a worldwide network of manufacturers, over 320 tutorial videos, and a news space called the Buzz. MySolidWorks is available in English, French, German, and Japanese. 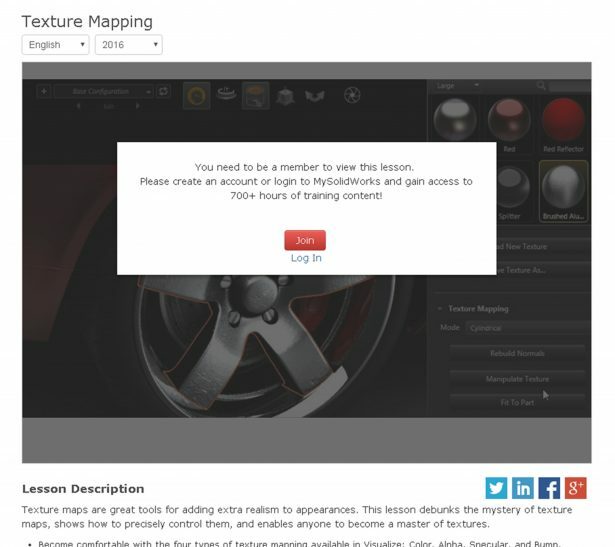 The first step to understanding MySolidWorks is to know how much content you can access without having an account. From the home screen, users are allowed full access to the Buzz, Manufacturing Network, and Support. Users are also allowed to search through the SOLIDWORKS Forums, as well as view CAD models and SOLIDWORKS courses. Despite this, you are still able to view a list of available training videos as well as the classroom training courses. You are also not allowed to download any of the CAD models; a separate account at 3D ContentCentral is required to do that. Again, you are still allowed to view the list of models. In my next post, I’ll be walking you through how to make your own account and working through some problems that might come up. If you want to find out what’s going on in the SOLIDWORKS world, go check out the Buzz! Rachael Naoum is a student at Worcester Polytechnic Institute (WPI) and a SOLIDWORKS Education intern. She is studying Mechanical Engineering and is a Certified SOLIDWORKS Professional.